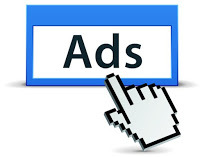 The biggest problem in advertising is getting people to watch your ads. What with the fast forward buttons on TV remotes and the skip button online all that creative effort can be lost with a tap of an impatient finger. No more is this an issue than the pre-roll ads you see at the start of a YouTube video. You are forced to endure the first 15 seconds of an ad before you are allowed to see the content you really wanted to watch. One advertiser, Geico, an American insurance agency has found one way around this. The pre-roll ad shows the beginning and the end of the ad which has a truly ludicrous ending, but to see how the characters move from the fairly innocuous beginning to the quite weird conclusion, you have to stay for the whole ad. The pre-roll is just a teaser for the whole ad. The first clip below, is the pre-roll, and all you see if you don’t click on the ad. The second clip is the full ad. Geico has produced a series of these ads in a similar vein, all with equally ridiculous story lines. What are you doing to encourage people to view your content?